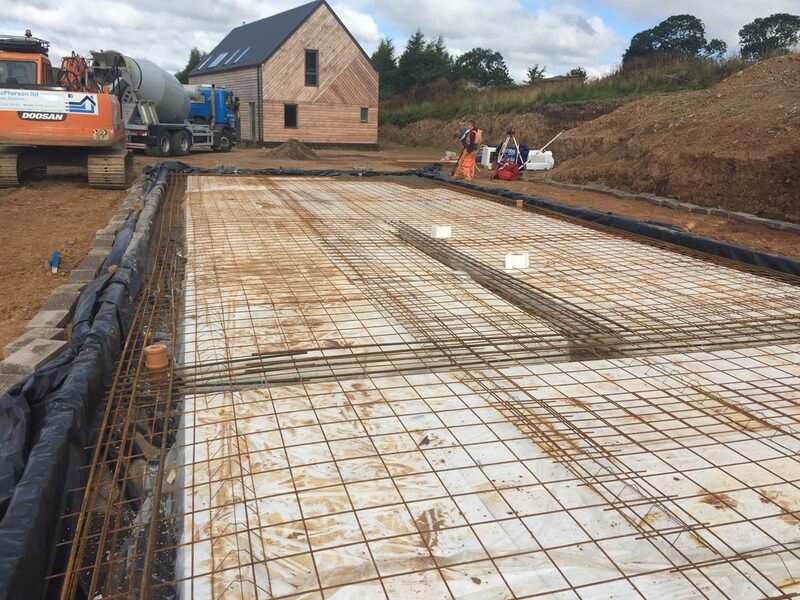 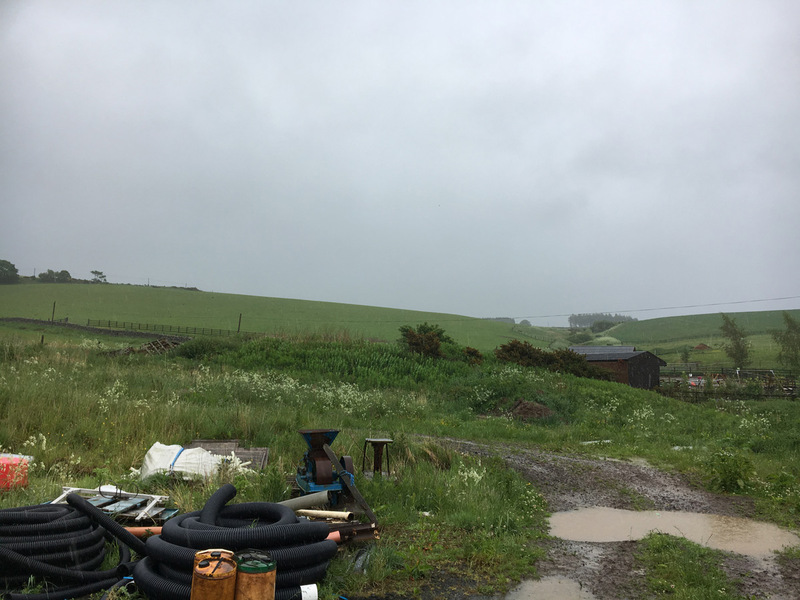 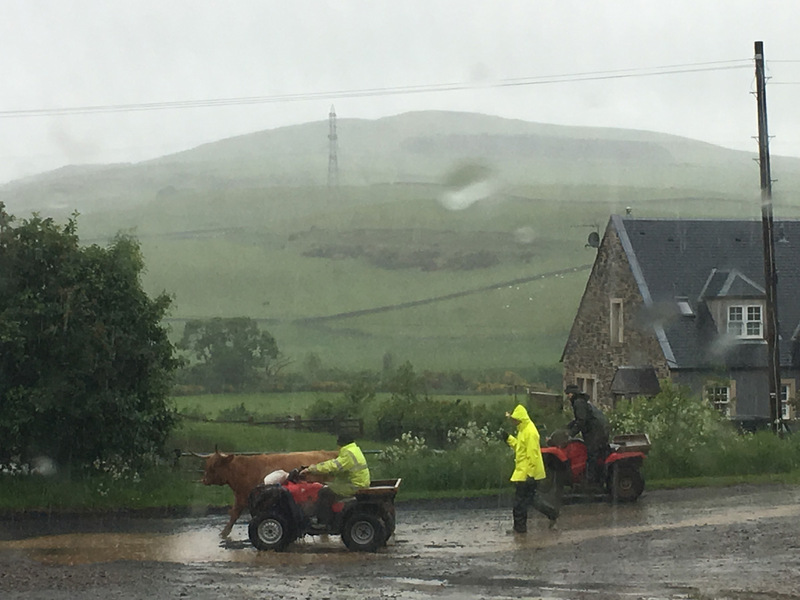 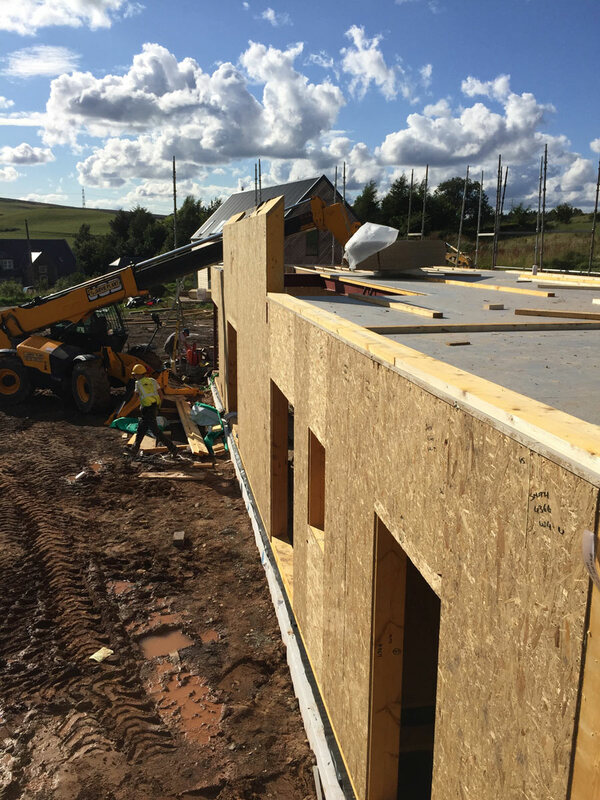 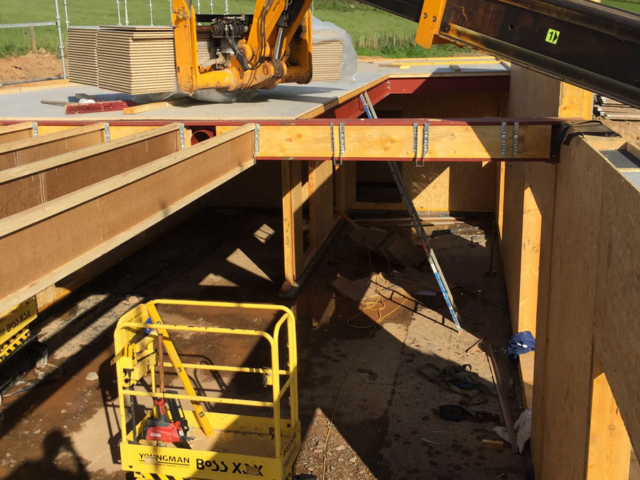 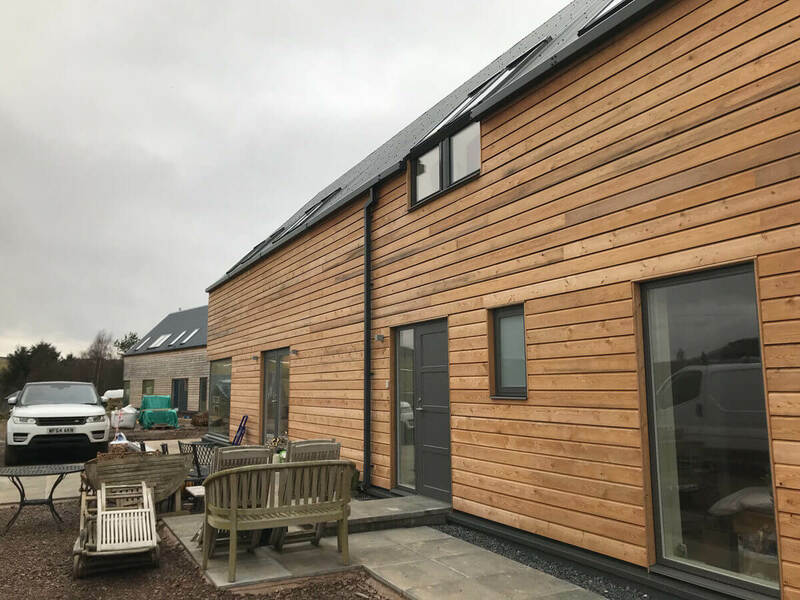 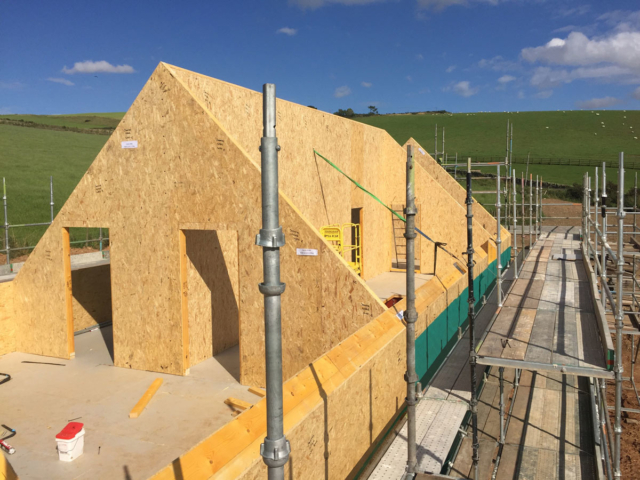 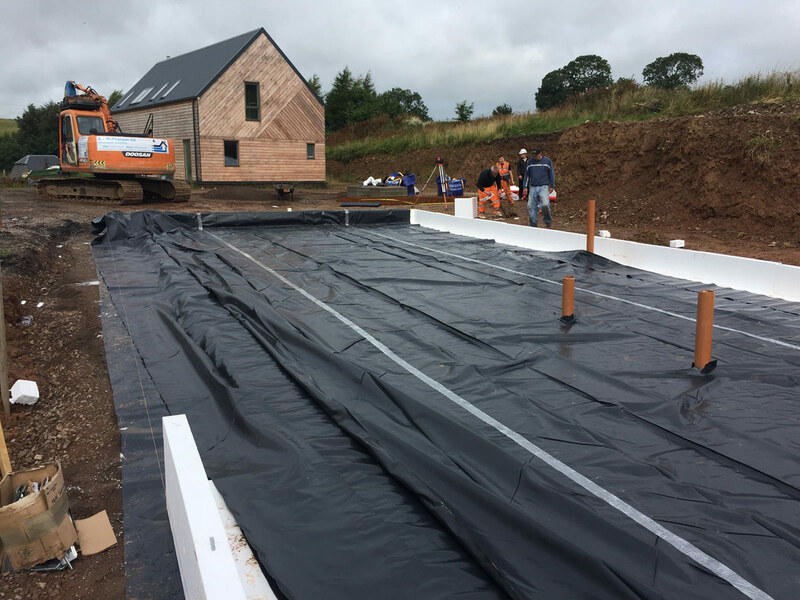 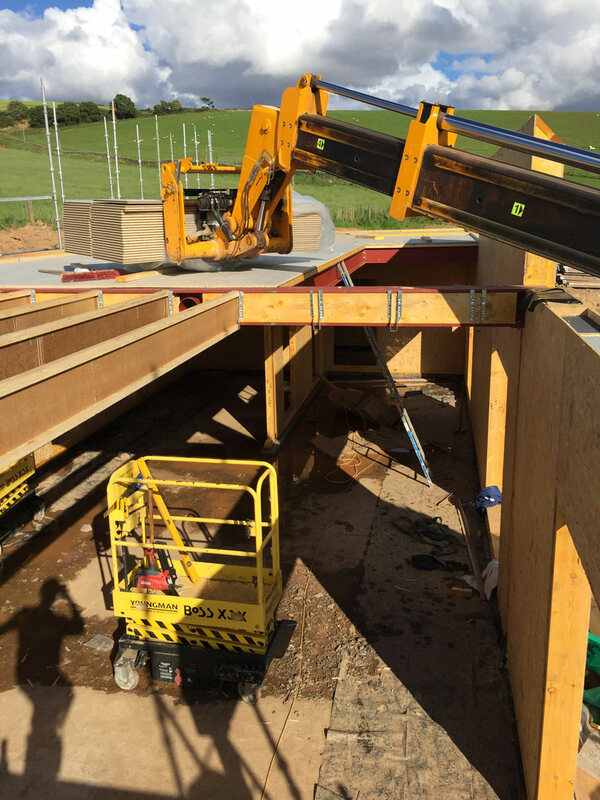 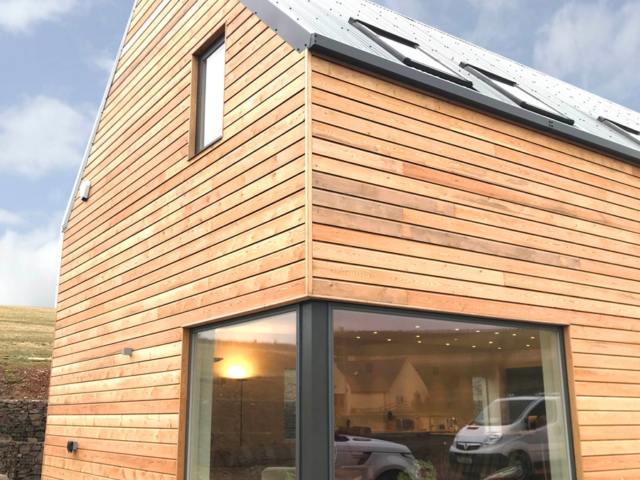 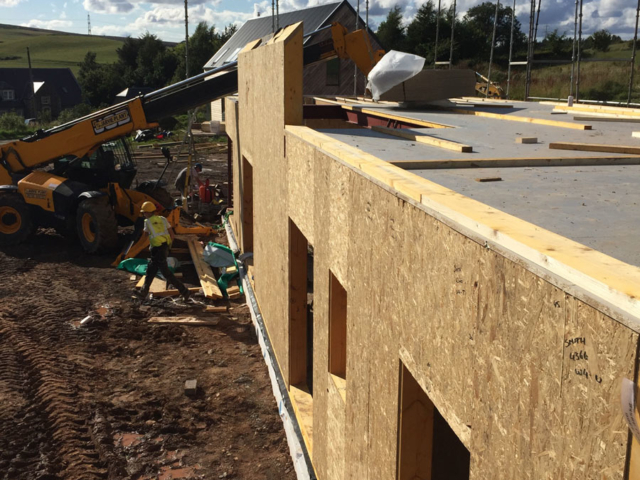 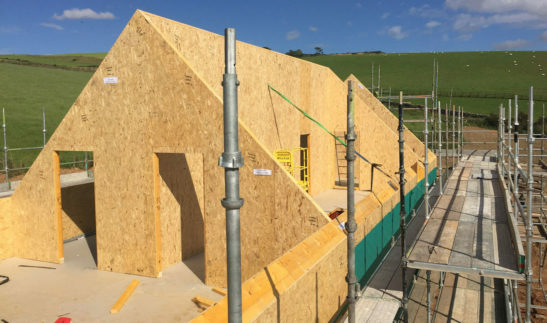 In 2017 SIPs Industries were contacted by a new client who wished to purchase a plot next to one of their previous projects and build a SIPs Eco House in Duns, Scottish Borders. 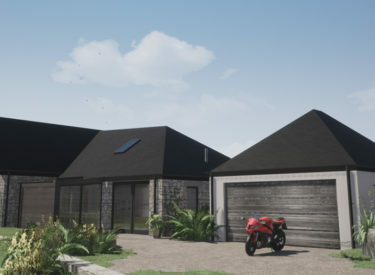 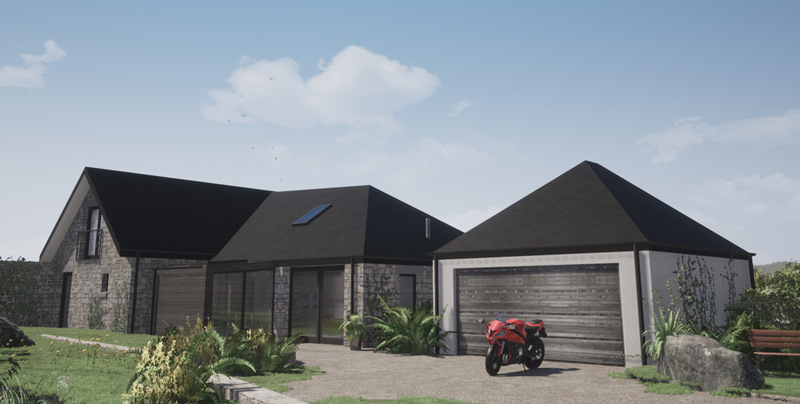 SIPS Industries and ACA met with the client and agreed to design and build the house, which needed to be completed within 8 months – start to finish. 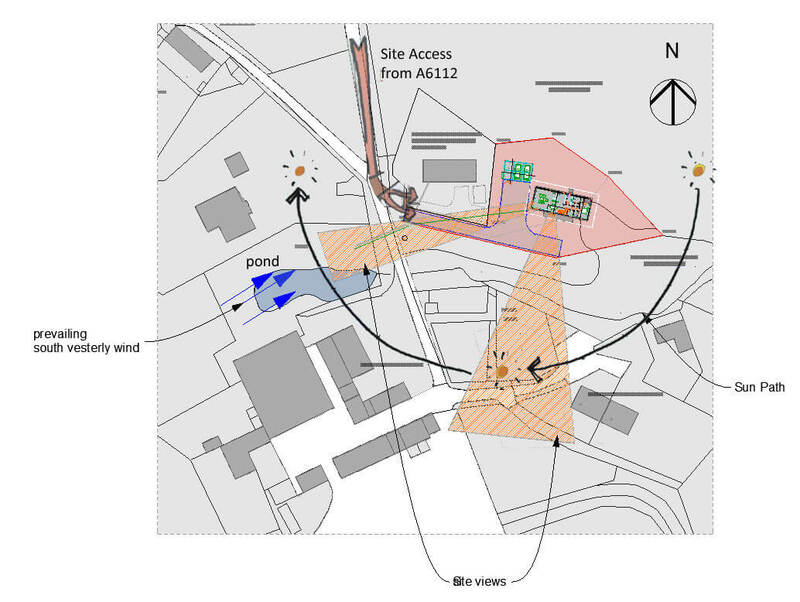 This ambitious timeframe meant that the design, planning and building control processes would have to be completed at the same time. 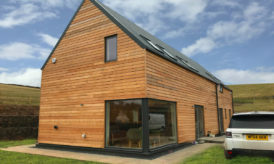 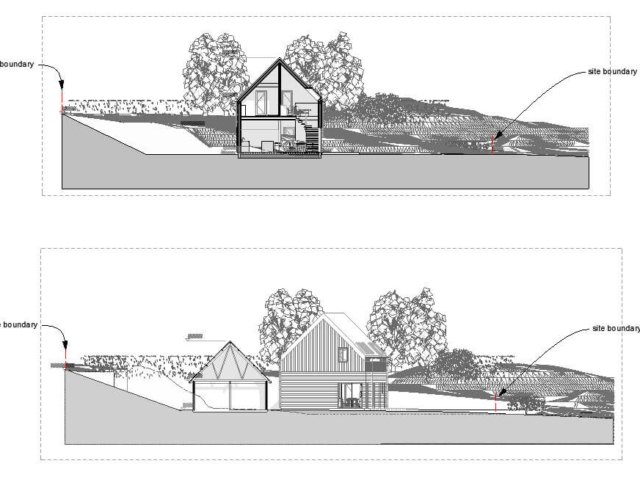 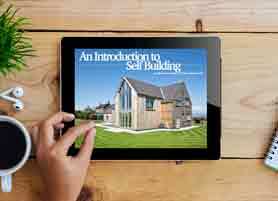 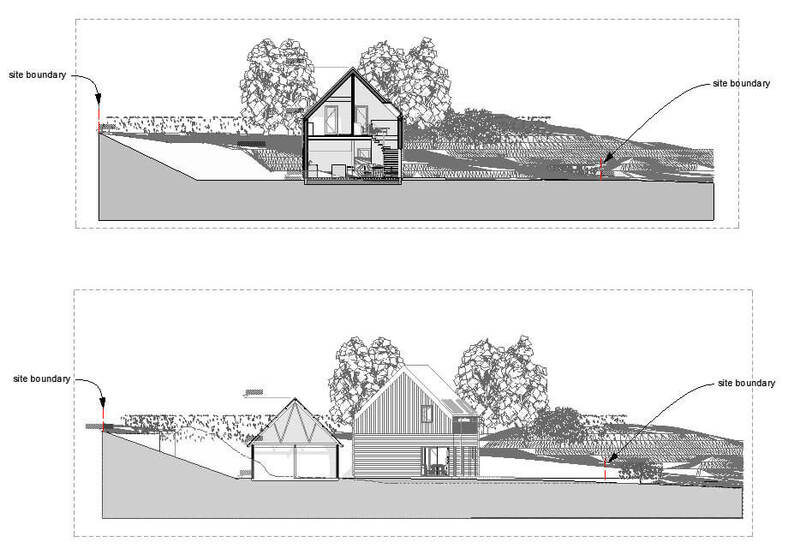 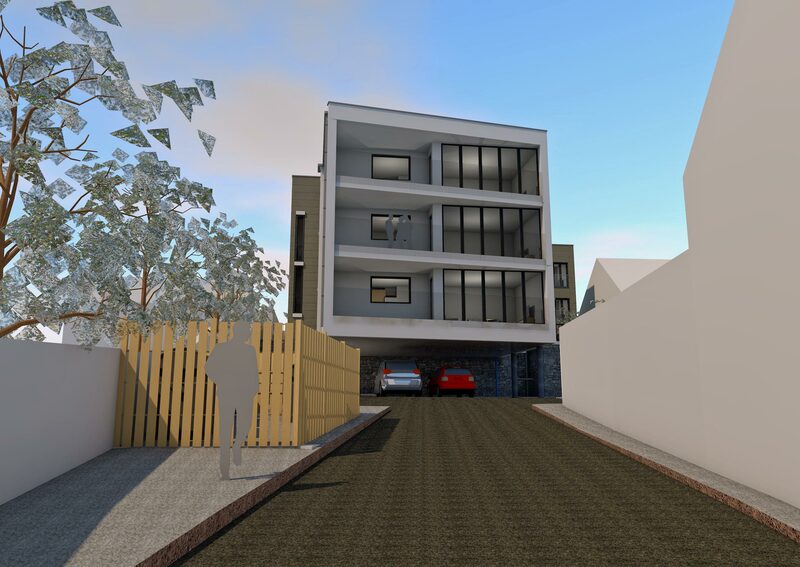 The 240m2 SIPs eco house is split over 2 storeys with an open plan feel. The ground floor features a double height entrance and stair, which leads to a large open plan living and kitchen. 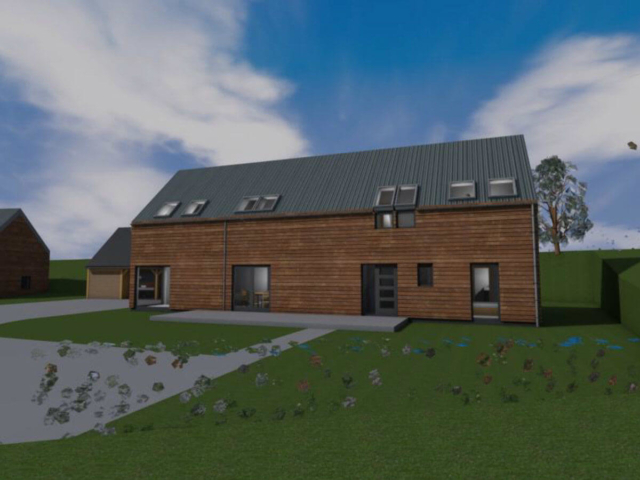 There is also a guest bedroom with en-suite and utility room. On the first floor there are 2 large double bedrooms both with en-suite bathrooms and the master featuring a large dressing room. 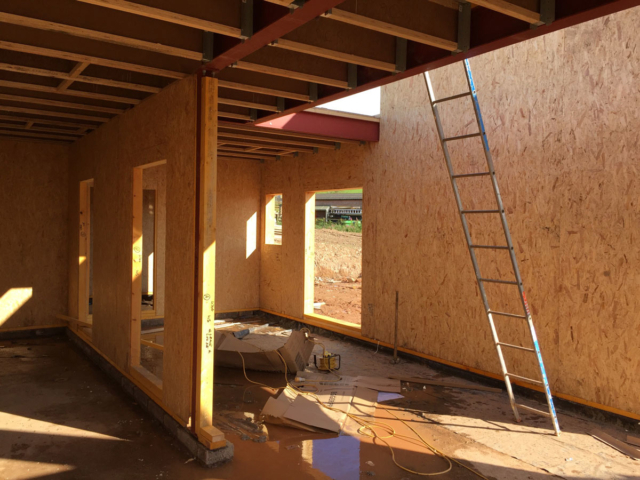 Around the large stair landing, there is a large open plan seating area. 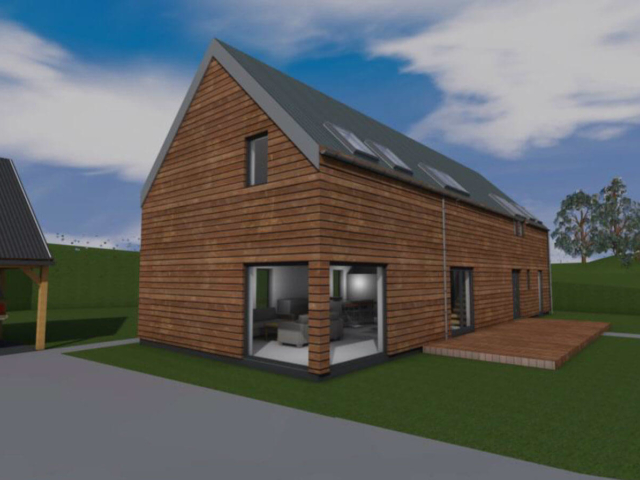 The low energy home will be constructed from SIPs panels, feature triple-glazed alu clad timber windows and an MVHR heat recovery systems. 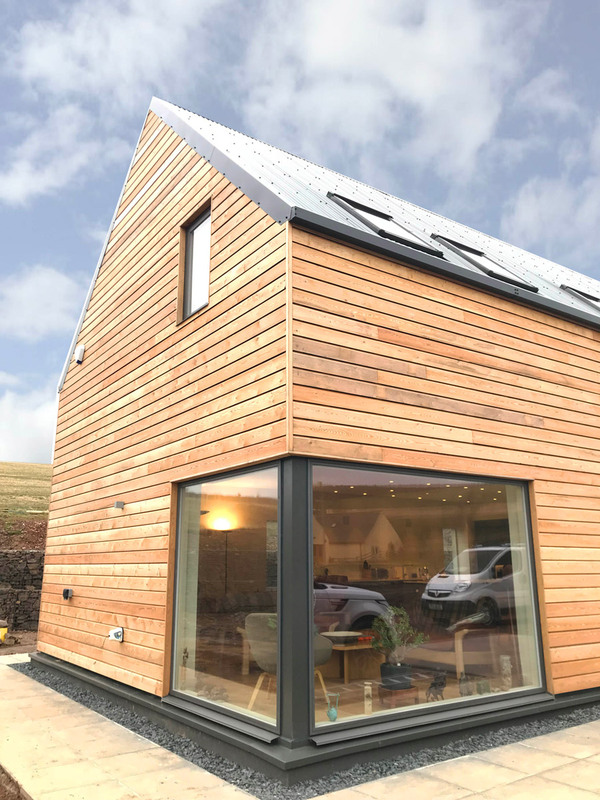 The house has been designed to reduce heating demand and energy consumption, which will drastically reduce the ongoing running costs. 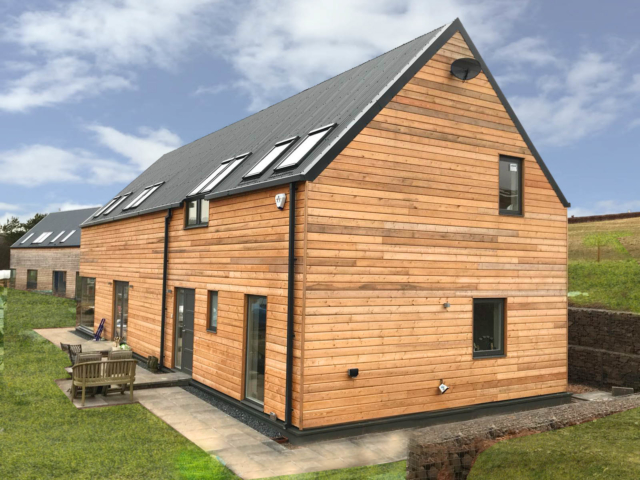 The house has UFH on the ground floor only, which is powered by an Air Source Heat Pump. 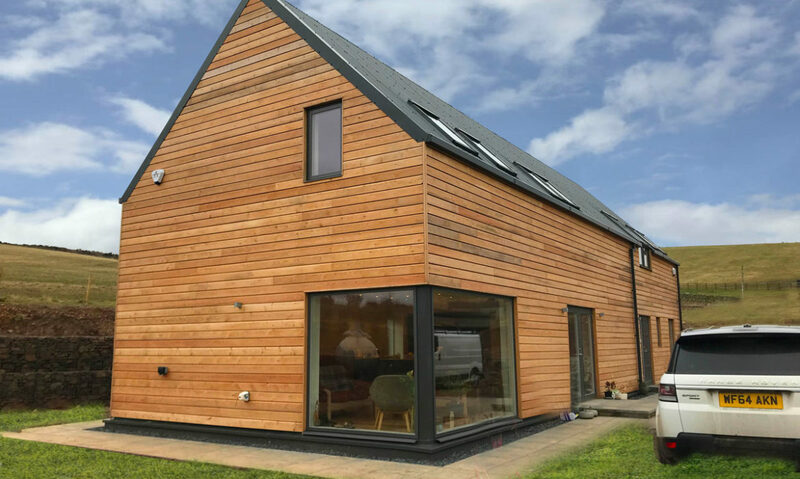 The look of the house was designed as a contemporary Scottish 1 1/2 storey longhouse, clad in timber with an agricultural metal roof. 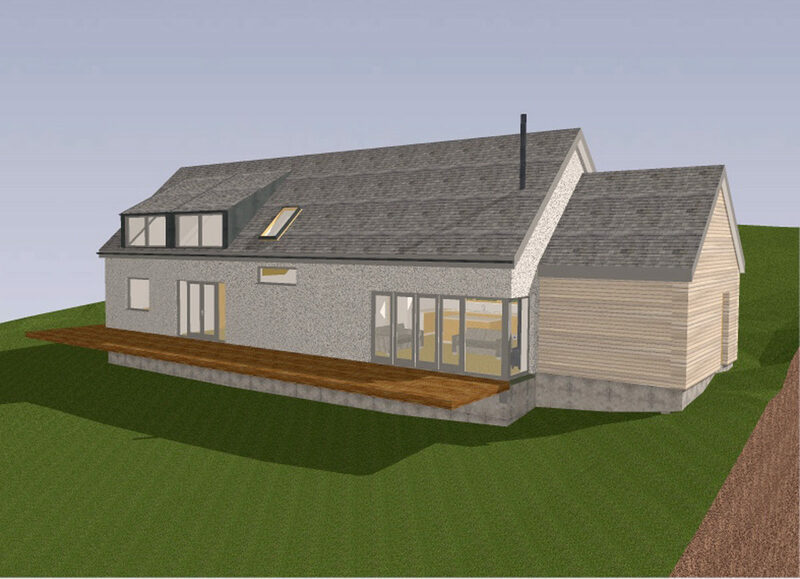 The large windows give views over the rolling hillside and flood the rooms with natural daylight. 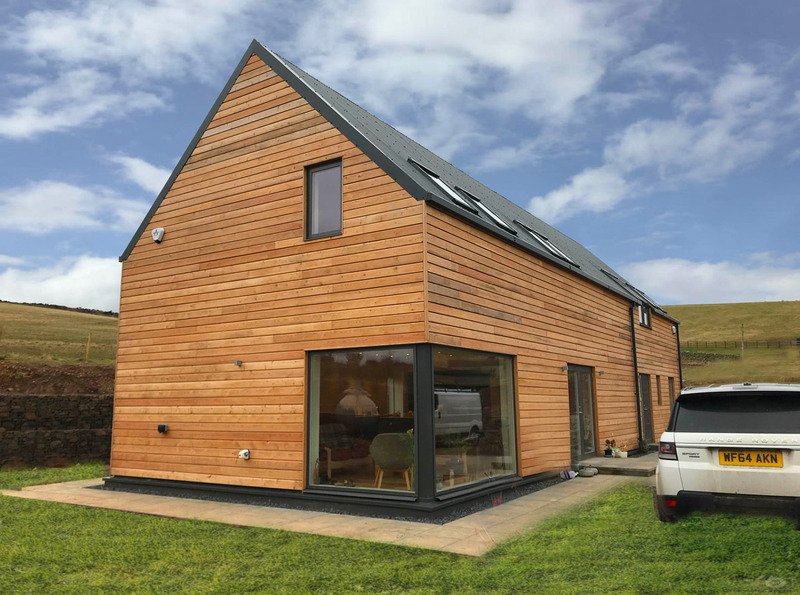 The house was built by a main contractor Grattan & Hynds, who completed the whole house build in only 4 months.